If you’ve been watching weather reports recently (or simply going outside for any amount of time) you’ve probably noticed that we’re experiencing a heat wave. A heat wave means temperatures are reaching unbearable (and sometimes even dangerous) levels. Right now both the U.S. and Canada are experiencing record highs. Everyone who can is staying inside and blasting their AC in an attempt to stay cool while the temperatures keep rising. But with everyone’s units working longer and harder than usual, those units will inevitably run into more issues. Local HVAC businesses are facing an influx of calls about things like refrigerant leaks, capacitors, and cooling issues. The upside of this is obvious: business is booming. Some businesses are booked solid for the foreseeable future with all the new calls and issues cropping up. More calls means more work, which means more profits! Of course, if you aren’t used to this kind of call volume, or are still using pen and paper invoicing and scheduling, this kind of situation could be overwhelming. HVAC software can help you make the most of these busy times. Let’s say your business gets a call from a very hot, very frustrated, very desperate potential customer. They explain their issues and would like to schedule someone to come out. Problem number one here is that you’re going to have to put this customer on hold to go grab their file and check all of the schedules and the individual technicians to see if anyone can take this job during this very busy time. But then you get another call, and another. And now you have three people on hold while you try and find a way to squeeze them in. A customer service study done back in 2012 proved something we already knew to be true; people hate to be put on hold. Only 4.1 percent of people said they would wait as long as it takes, with the majority of people saying two minutes was pushing it. Worse yet, heat makes people cranky. A crazy hot day with no air conditioning could turn a normally patient person into the Hulk. This hikes the chances of them hanging up and going elsewhere. In addition to angrier customers (in greater numbers), we always have good old fashioned human error to contend with. Let’s say you kept all three of those customers on the line and they ended up getting jobs scheduled. What you won’t realize till later is that you accidentally overlapped bookings for one of your technicians. 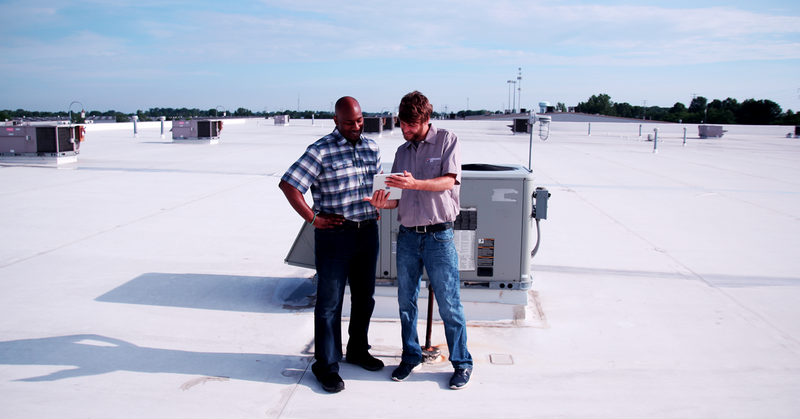 The heat is hectic for you in the office and hard on your technicians in the field. Mistakes get made. All of this could have been mitigated with the right HVAC software. A good HVAC software is designed to anticipate problems like this and work with you to circumvent them. HVAC software like Smart Service gives you a calendar page that you can customize to make scheduling faster and to organize your HVAC business in a clear and concise way. This will help your office cut down on accidental double-bookings while keeping up with your existing preventative maintenance appointments. Smart Service lets you organize jobs by location, letting you find the closest technician with an available time slot to tackle new work. This makes life easier on your technicians too! With optimized schedules and routes, they won’t find themselves constantly zig-zagging across town on a given workday. Additional routing, GPS, and other features are also good things to look for when trying to find the right HVAC scheduling software for you. 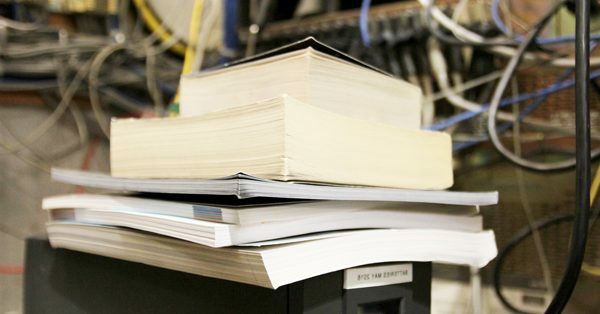 Another easy way to maximize your efficiency is to find a software solution that gets rid of the mountains of paperwork back at your office. Smart Service has a mobile app extension that is downloaded onto a phone or tablet for all invoicing and work order management. 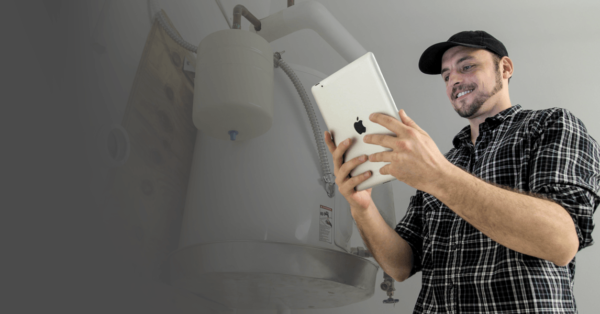 With the Smart Service HVAC app, your technicians now have the ability to get all the paperwork done in the field and automatically sync it up with the office computers. Easy to organize, legible paperwork that you don’t have to sort through and file will become the standard for your company. 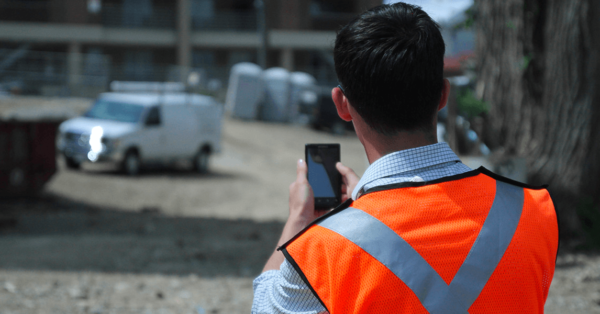 Spikes in temperature and heat waves can bring in more calls and are good for business, but sometimes this rush can overwhelm poorly equipped schedulers. There are ways to try to deal with this without help, maybe a temporary assistant at the office for call volume, or longer hours to carefully sort through all the paperwork and double check schedules. But the easiest fix? A little help from an HVAC software.